P.s: Haiku inspired by yellow paper daisies captured from one of the wildest place in Theni. 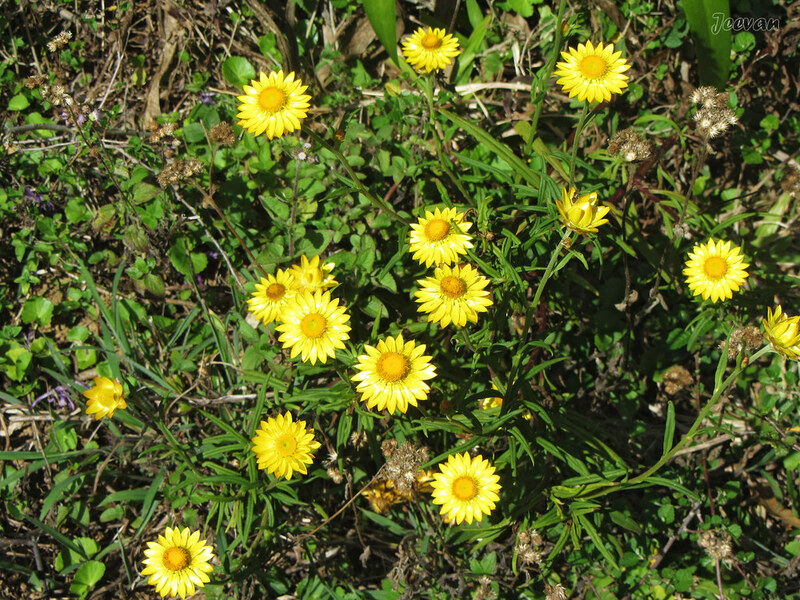 Commonly known as the golden everlasting or strawflower, is a flowering plant native to Australia and it grows as a woody or herbaceous perennial or annual shrub up to a metre tall with green or grey leafy foliage. Golden yellow or white flower heads are produced from spring to autumn; their distinctive feature is the papery bracts that resemble petals. Lovely floral macro shot and divine haiku! Love the little Strawflowers.. They look so happy and look like they are smiling.. BUT--It's me who is smiling when I see those little beauties. Beautiful strawflowers and a lovely haiku. A great match, well done! GREAT poem and photo of yellow flowers. I love these flowers very much and they are only grown in the cool highlands in my country. I am aware that the farmers would dry them to make excellent dried flowers with different colours.. Thank you for telling me the name is strawflowers! Hello, they are lovely flowers. A pretty cheery yellow daisy! Enjoy your day, have a great week! Hello Jeevan, I am a first time visitor to your blog and currently live in Nashua, NH. I visited here after reading a fellow blogger's post. The yellow flowers are lovely and reminded me of similar ones we had in our garden when we lived in VA a few years ago. I plan to bookmark your blog for future visits and invite you to visit our blog anytime as we always enjoy and appreciate visits and comments.